Sell your gold scrap direct to the processor from anywhere in the USA. 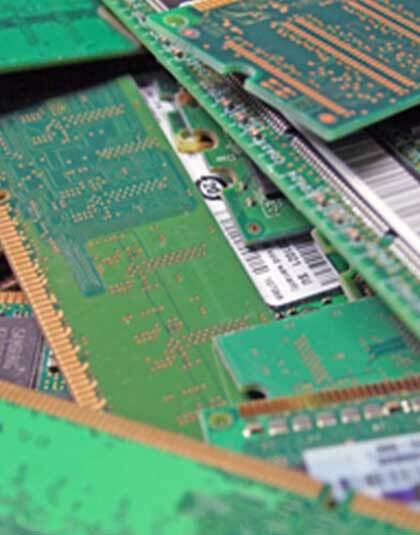 Get paid more when you sell scrap gold in all forms direct to the processor. 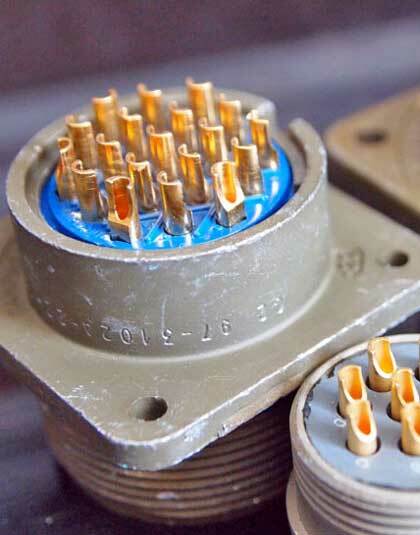 Every day, customers and companies throughout the United States tell us that we pay more than anyone around for gold plated electronic scrap, gold plated aerospace scrap and much more. We buy and process gold scrap from customers as far away as California, South Carolina, Texas and throughout the United States. At Precious Metals Reclaiming Service we buy and process gold scrap in all forms. We also buy from local customers in Massachusetts and Florida who want to sell their gold jewelry scrap direct to the processor. 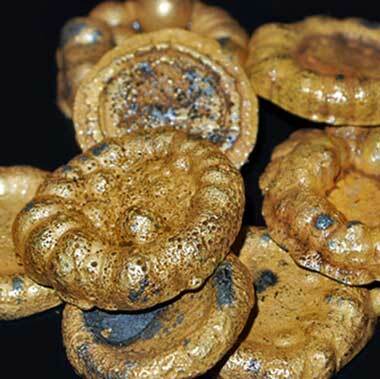 Companies and individuals throughout the United States contact us when they want to sell large lots of industrial gold scrap direct to the processor. We do our own precious metals refining to ensure that you get the best pay-outs when you sell your scrap gold direct. You Get Paid More When You Sell Direct, Contact Us Today. Clients throughout the United States tell us that we pay more than anyone around for gold scrap in all forms. We have been a leading buyer of gold scrap since 1945 - that's more than half a century of trusted service. Sell your gold scrap direct and get paid more. 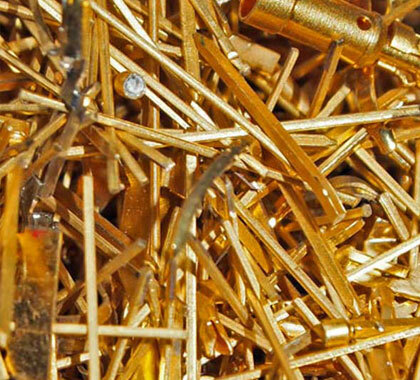 Want to sell gold plated e-scrap, gold jewelry, dental gold scrap? Get paid more for your gold scrap when you sell direct to the processor. We also buy gold solutions, gold plated scrap, gold filled scrap and any material containing gold. I had some old gold jewelry that was just sitting around. My husband and I did our research as to the price of gold, the karat of the items I had and calculated how much it was worth. The gentleman I dealt with was very professional, he calculated everything very quickly and I walked out of there with a check for more than we had anticipated. I will not go anywhere else should I need this type of service again. We buy and process gold industrial scrap, electronic gold plated scrap, jeweler's gold scrap, jewelry and more. 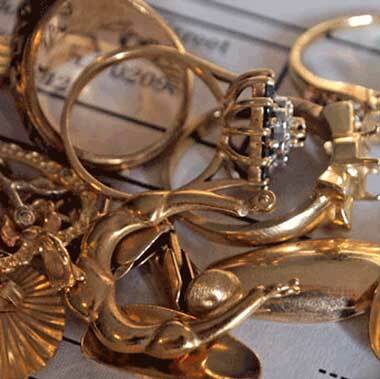 We buy and process gold overstock electronic scrap, jeweler's bench scrap and gold jewelry scrap. 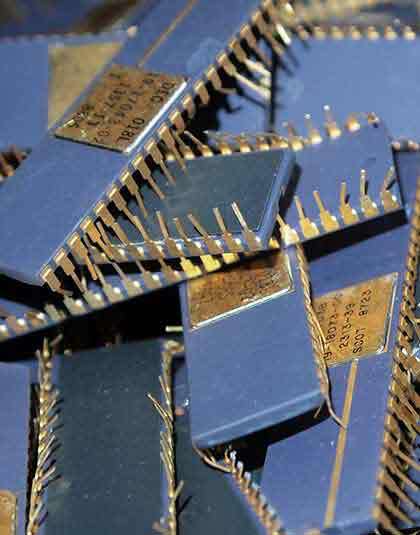 Sell gold electronic scrap, gold industrial scrap and more, direct to the processor and get paid more. We also buy gold jewelry from customers in Massachusetts and Florida. 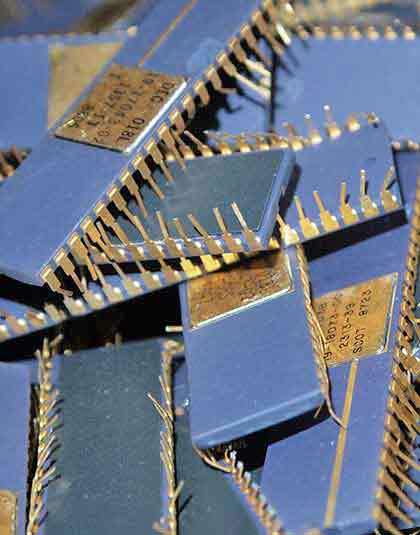 Get paid more when you sell gold ic chips and electronic gold scrap in all forms direct.